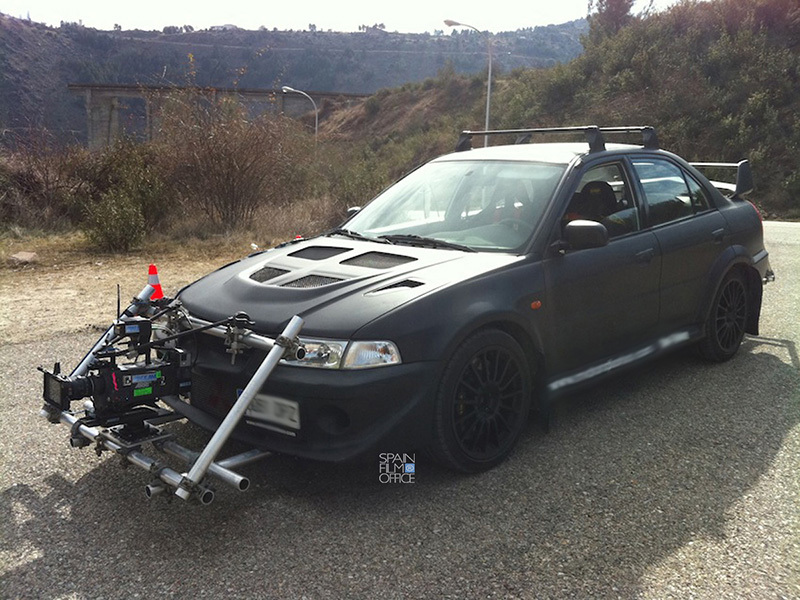 The high speed camera car / tracking vehicle, not only has 340CV and develops a maximum speed of 250 km / h, but it is equipped with 6-piston Brembo brakes, 18-inch wheels, adjustable suspension Ölhins, anatomical seats, safety belts 4 points and competition tires. With this set we get to have a fast car, extremely safe and effective in any situation. 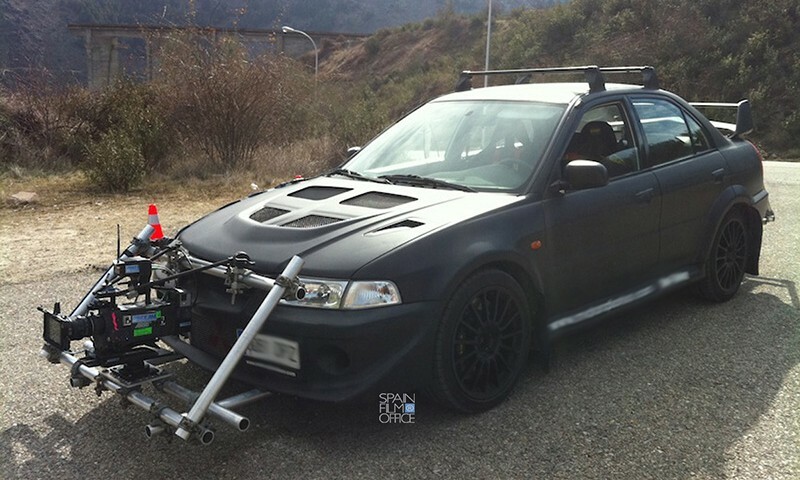 Our Mitsubishi Lancer Evolution VI Tommy Makinen replica, is completely equipped to mount any type any stabilized head, or mount rig with absolute ease. Circuit and road wheels. 6 pistons Brembo Brakes, RalliArt tuned to 340CV, adjustable Ölhins suspensions, OMP bucket seats and 4 points safety belts. Fully equipped for fast rigging of type of camera, stabilized heads and mounts (it doesn’t include grip material or grips.) Driven by a Precision Driver. Painted in Matt Black. Up to 250km/h. with fantastic acceleration and powerful brakes. Circuits, fast road in difficult conditions.